In yesterday’s ‘Allegory of Fantastic Beasts’ post, I began making the case that Newt Scamander is in fact based on the real life physicist and alchemy scholar Isaac Newton. In this post I’ll be looking at the thematic aspects of the character, in relation to his real life model. The reasons for this may be far reaching in their potential implications. For if Newt Scamander is indeed meant as a symbolic stand-in for a real life hermetic philosopher, then its possible Ms. Rowling may have more in mind than mere entertainment by sending her main character stateside in New York. We’ll start by examining the philosophy of the real Newton, then see how it may apply to the fictional one in order see whether or not it sheds some light on the trajectory of his character. We’ll also touch on the subject everyone seems concerned about more than any other: the shipping question of Newt and Tina Goldstein. And Newt’s having been expelled from Hogwarts! A word of caution: because of the piecemeal nature of the evidence, what I’m about to suggest is highly theoretical, and subject to correction. However, I believe that the proofs are sufficient enough that it is possible to present a more or less coherent picture, provided one has the proper background knowledge in Literary Alchemy, or what the Inklings called Mythopoeia. With that in mind, let’s begin. The biggest plot prediction I have to offer for Newt would be that we’ll be presented with a character who is really just “a boy sent to do a man’s job.” I think we should expect to be introduced to Newt Scamander as a man fundamentally out of his element. In fact, he might be at a point in his life where he finds himself unsure of just what his element is, or even if he’s supposed to have any. Expect him to be the kind of bloke who, if told he had no “element” to belong to would simply sputter, and go something like, “Oh that’s quite alright, I never meant to be a bother.” Then, if ordered, he’d be perfectly content to sit in a corner and twittle his fingers to eternity. In other words, expect to be introduced to Newt as a lowly Ministry official with no real clear idea of where he’s going in life. It’s possible that deep down he doesn’t really like himself very much. The fact that he has no important prophecies attached to him probably doesn’t help much either. When he loses his suitcase, however, Newt will find himself in a predicament where he must learn to “change” from a mere boy into a man in order to accomplish his goal. The task of regaining a suitcase, and collecting all the creatures that got out might sound like a rather thankless and relatively small task. However, the task may take on a bit more significance as Newt goes along. Not just in terms of the trouble he’s in from both American and British superiors, but perhaps also the journey itself will be a bit of an eye opener. There are three possible plot elements that will tell the significance of Newt’s story. The places he’ll have to go in and around the New York areas. The significance of the kind of people he meets. The possible symbolic nature of the creatures he has to catch. The importance of why he likes, and studies nature. What all the above means about his place in life. Here, in a brief summary, is the closest to an actual plot outline for this particular Rowling story that I can offer with anything even approaching confidence. So much for the surface description. The next question is what, if any, is the allegorical significance of Scamander’s journey? In order to answer that question, I’d argue that you have to know the historical significance of the real life Newt behind the fictional one. The popular idea of Sir Isaac Newton is of this secular Super Egghead unconcerned with the questions of religion or society, and who is obsessed with the sole question of scientific discovery. The real truth, based on his own writings, reveals a studious and alert man who spent all his life concerned with questions of theology, and who’s most famous work in chemistry was more a side-product of his spiritual interests. One telling clue to Newton’s religious thought stem from two sources: (1) his relation to an old Cambridge tutor named Henry More and, (2) his interest in alchemy. I did a good deal of work on Henry More once: a beautiful man of whom ‘He was often so drunk with happiness much ado to keep himself from falling down & kissing the very stones on the path.’ He is also one of the earliest people to mention kindness to animals as a duty. (Lewis, Collected Letters Vol. 3, 613). Jack Lewis was reading the works of Henry More (1614 – 87), the Cambridge Platonist, with the thought of writing about him for D.Phil. degree…he had chosen Henry More because of his own interest in ethics. His belief in the importance of morals and ethics was very strong… (Lewis, Barfield, Diary, 280). Lewis also referenced More as important to an understanding of the poetry of John Milton, in connection with Cambridge Platonism (Lewis, Collected Letters Vol. 3, 1560). So far, so what? All we get from this info is that the Inklings held this guy More in some kind of admiration. What does that have to do with either the weight or velocity of a falling apple? The answers rests in the fact that Cambridge Platonism is one of the branches of Christianity to take an interest in hermetic symbolism. The other fact is that More, as a Christian Platonist, was a possible tutor of Newton at Cambridge, an hypothesis supported by Cambridge Platonist scholar Jasper Reid (2, 129). It is at least a possibility that Newton’s interesting both theology and science was kick-started by More during his student years. At the very least, we have one possible source from which Newton could have drawn in his studies (see Dobbs, The Janus Face of Genius, pg. 8) of the various alchemical doctrines. While scholars and the media are starting to acknowledge the esoteric nature of Newton’s writing, the one idea that still has yet to gain any kind of traction is the suggestion is that his studies might have had a literal Orthodox Christian goal in mind. So far, just two (count ‘em) theologians have ever tried to approach Newton’s thought from a Christian perspective. The first was David Brewster, way back in 1840, with his Life of Sir Isaac Newton. The only other one is a paper by Thomas C. Pfizenmaier which argues that Newton’s hermetic-chrisitan studies led him to a position which, if he’d known about it, would have classed him as a Christian of Eastern Orthodox persuasion. I’m going to go out on a limb here and suggest that Rowling is aware of Newton’s connections to Hermeticism and Christianity through both Lewis’s mentions about Henry More, and most likely through Brewster’s old biography. As for the Pfizenmaier paper, I will note this. It was published way back in 1997, the same year as the world was introduced to a particular young, boy Wizard. Is it possible that Ms. Rowling read the Pfizenmaier piece? The answer is simple: we don’t know. We’ll never know what research inspired half of her ideas until the day she decides to share her source library with the world. Nevertheless, for the moment I’m willing to pin my hopes that she is aware of all three possible sources that would connect the real life Newton to an alchemical-allegorical Christian reading. As noted at the very start, the type of story we might expect of Newt is that of an inexperienced novice who through various trials and tribulations must learn how to be a man. In going through all this, however, it doesn’t mean he can’t have a little help on his side. Which brings us to a subject many have been waiting for. So it seems there’s a new wizarding couple on the block. Come November, for better or worse, the latest line of Rowling shipping will commence with the haphazard “meet cute” of Newt Scamander and “Tina” Goldstein. For fans who’ve been with Ron and Hermione all these years, I don’t know how this news must come. I also don’t know what the exact significance of their relationship will be to the story. In terms of background information, all we know is that at some point, Newt and Tina meet in New York City. Eventually, whether in the Apple or later on somewhere down the line, they fall in love, marry, and have a family. Other than that, we got nothing much else to go on. What I’m willing to do is suggest one possible course for how the relationship between these two make believe characters will develop. If I had to guess, Tina will start by treating Newt in a courteous if businesslike manner, then she’ll be confused by Newt, at last she’ll grow exasperated. Finally, she’ll wonder how on earth she got straight-jacketed with as big a lunatic as a wizard with a portable renegade zoo! Out of such meetings are dynasties made. Other than that, there are at least two possible ways Tina could have a thematic importance to the story as a whole. She is described as being very “soulful” and full of “heart”. Might this be a clue that she’s to be the alchemical “Heart” to Newt’s “Head” or “Intellect”? Another possibility is one grounded in the historical Newton’s study of real life alchemy. It is at least a possibility that Tina will become Newt’s Muse; a Divine Sophia spurring him on to both better himself, and discover greater heights of wisdom. Right now, these are all just guesses. However, it will be interesting to see what, if any, symbolic significance Ms. Rowling has in store for her latest magical couple. There is just one more item, or rather assorted oddments, to discuss in terms of the importance of Newt and Newton for Rowling’s picture. That is the Fantastic Beasts themselves. 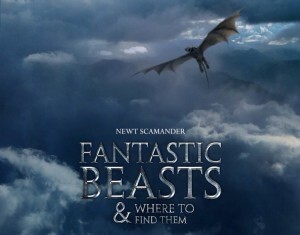 According to a source at SnitchSeeker.com, there are at least 7 creatures listed that will appear in the film. The complete list can be found here. One specimen of note is the Augurey, which is really just the mythical Phoenix under another name. This is significant I think, because it shows Ms. Rowling utilizing a fictional creature from mythological antiquity that was traditionally regarded as a symbol of wholeness, and in Christian thought the Phoenix was believed to be a dual image of both Resurrection and the Christ. If anything, this should be a hint that Ms. Rowling is working with the same tools that she used in the Hogwarts saga, and that there’s bound to be more where that came from. I think we should look for the Beasts Newt has to track down to have a very symbolical importance. Which Beasts this importance will apply to, and how it will determine the direction of the plot I have no idea. I do however believe the fact that Scamander is always associated with the Beasts and the suitcase they came in is meant to be a reflection of the real Newton’s knowledge of the traditional symbolism of Alchemy, and it’s religious significance. So it’s no big leap to imagine that the creatures getting loose in New York will function as important signs and symbols of change. That is pretty much all the traditional symbols stood for, the possibility for positive change. I think we can expect these Beasts to effect such a change in the Apple’s magical community. Which brings us to the final question: why America? What’s so important about a place that really hasn’t played any big role in any of Rowling’s work thus far? Also, why is she sending a fictional equivalent of Isaac Newton all the way over here? The real guy never once set foot on these shores in his life? It’s true the real Newton never came to America, but it is possible that his ideas did. There lies a tale, one about a geographic cross-fertilization of ideas, whose consequences literally reshaped the world. After a brief look at Rowling’s New York, we’ll examine just how Newton came to America in real life, and what its overall significance was, and how this will play into the symbols and ideas, maybe even the plot, of Fantastic Beasts. Till then, feel free to tell me where I screwed up this time in the comments section below. Trust me when I say, the best is yet to come! Viv le Liberty. In the interim, the second trailer for Fantastic Beasts has been released. In it we learn of a potential plot point regarding Newt’s expulsion from Hogwarts for allegedly endangering human lives with his “Beasts”. The plot point is very similar to what happens to Hagrid in Chamber of Secrets. However, there may be a very major difference. Considering the case laid out for Newt as Newton, there is room to ask if this story element reflects anything of significance in the Magizoologist’s real life counterpart? Let me suggest that the fictional Newt’s fate at Hogwarts reflects the real Newton’s exclusion for consideration in the history of Christian thought. 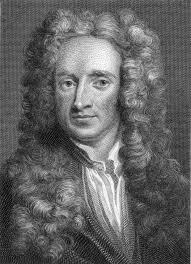 The popular myth of Newton has always been as a patron saint of secularism. Newtonian scholar Betty Dobbs and James Cungureanu maintain the contrary. Newton, alleged epitome of austere, scientific, mathematical rationality, pursued alchemy, apocalyptic theology, hermetism, and other occult practices. The problem, then, according to Dobbs, is a historiographic one. Newton’s “system was very quickly co-opted by the very -isms he fought [i.e. mechanism, materialism, deism, atheism], and adjusted to suit them. He came down to us co-opted, an Enlightenment figure without parallel who could not possibly have been concerned with alchemy or with establishing the existence and activity of a providential God.” In the end, Newton was not one of history’s all-time winners; rather, he is one of history’s great losers, “a loser in a titanic battle between the forces of religion and the forces of irreligion (Cungureanu). In other words, just as the real Newton found his religious works co-opted by secularists seeking to use him for their own purposes, putting an enmity between the Platonist Christians who traced their thought back to the Medieval/Renaissance Florence, so the Hogwarts authorities misunderstand Newt’s study of symbolic beasts leading to his unjust expulsion despite the understanding and support of Dumbledore. For more info, the entire Cungureanu article can found here. Readers are urged to go through the whole thing, as it is an eye opener on the relation between Science and Faith.